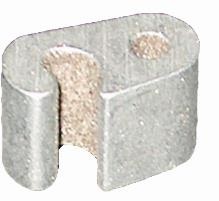 Permanent Fencing Fence Hardware Crimp Sleeves & Taps Use on 15.5ga Barbed wire or 10/11ga Smooth wire. Moisture Resistant Jar. Permanent Fencing Fence Hardware Crimp Sleeves & Taps One end open in moisture resistant jar. 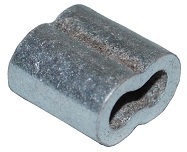 Permanent Fencing Fence Hardware Crimp Sleeves & Taps Use with 12.5ga Barbed Wire or 9ga Smooth Wire. Moisture Resistant Jar.